‘Mothers of the Believers’ dives into the fundamental understanding of family relationships by learning the story of each of the Prophet’s wives in detail, as they unfold throughout this 9-hour, biographical/history series. Sheikh Kamal El-mekki takes us on a journey that details key moments in the history of Islam as we follow each story of the Prophet’s Wives. He expounds on the beautiful stories of Islam to inform all of humanity of how we should treat our spouses, especially our mothers; exposing stories that are heart warming; and presenting lessons for all to learn from. Ajmal Pictures contributes to Kamal’s story telling by using verses from the Quran, Hadith, original illustrations, graphics, visual footage, and much more. 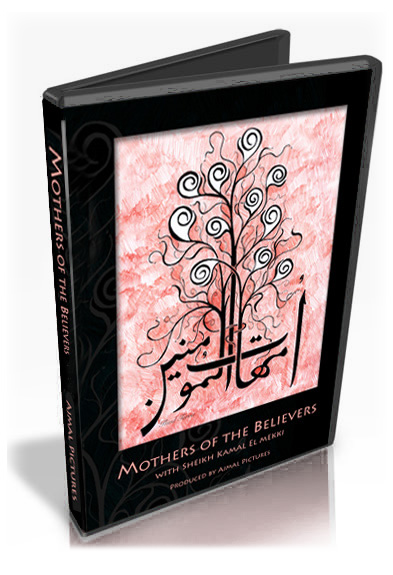 ‘Mothers of the Believers’ is an 18-episodic biographical/history of the wives of Prophet Muhammad. Each episode is 29-minutes long and uses Quran recitation, Hadith’s, motion graphics, photos, original illustrations, visual footage, and much more to enhance the story telling of Islam’s history. This is the second collaboration between Sheikh Kamal El-mekki and Harris P. H. Tobing to produce quality products for today’s generation. Sheikh Kamal is well known through out the U.K., Canada, and USA for his involvement with the youth, dawah, and as an instructor for Al-Maghrib institute. Harris is an independent filmmaker – director/producer for Ajmal Pictures, and continues to produce Islamic products at an international level; including working with Sheikh Yusuf Estes at www.guideus.tv. Sheikh Kamal El-mekki and Harris Tobing both agree that more projects of this caliber and in this direction is needed to enlighten Muslims and non-Muslims alike.